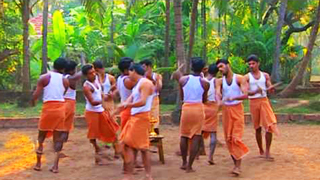 Kolkali is a highly rhythmic folk art performed in the north Malabar region of Kerala. 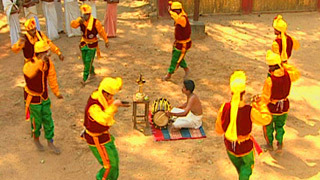 The dancers wielding short pairs of sticks move in circles around a nilavilakku as they sing and dance tapping each others stick. 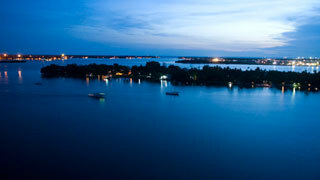 Though the dancers break away to form different patterns, they never miss a beat. 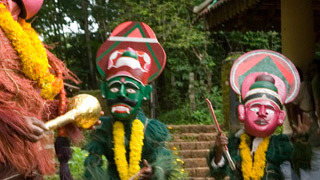 In Malabar, Kolkali is more popular among Muslim men.